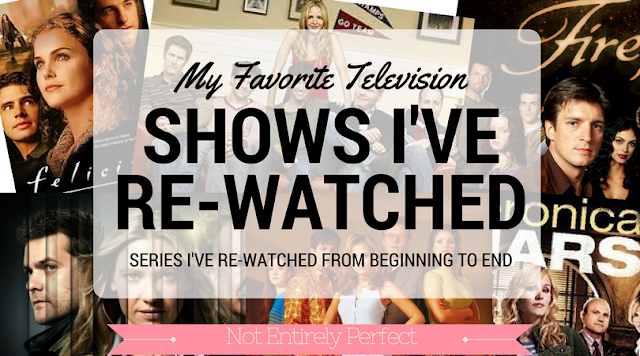 Fellow binge watchers out there, this post is for you: my list of the shows (that I can remember at least) that I have re-watched in their entirety. Many times. Because I certainly love a lot of shows I've watched from beginning to end, but I haven't watched them all more than once. And I think that's a key to letting you know I extra, extra love it and feel confident in recommending it. 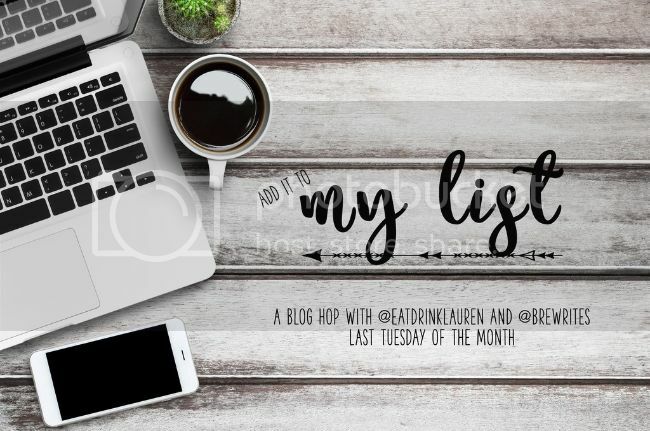 I had this post scheduled to go up in February but then Lauren announced a new link up that she was hosting called 'Add It To My List,' on the last Tuesday of each month, so I bumped it up. In her words, "We want to hear about the things you're already recommending to your friends in real life from a Costco bargain to a great recipe to your current favorite twitter account and everything in between. Focus on one thing, or make it a list: just talk about things you've already done and tried and are really worth other people's time and money." Sounds like fun, right? Can't wait to see what other people will be linking up. I was going to write up some info on each of the show but I don't even think I need to bother. Sometimes all you need is a quick and easy list to reference, right? So there you have it! What show have you watched entire seasons of, repeatedly? Anything on my list make it on to yours too? Link up with Lauren and Bre with your own list!